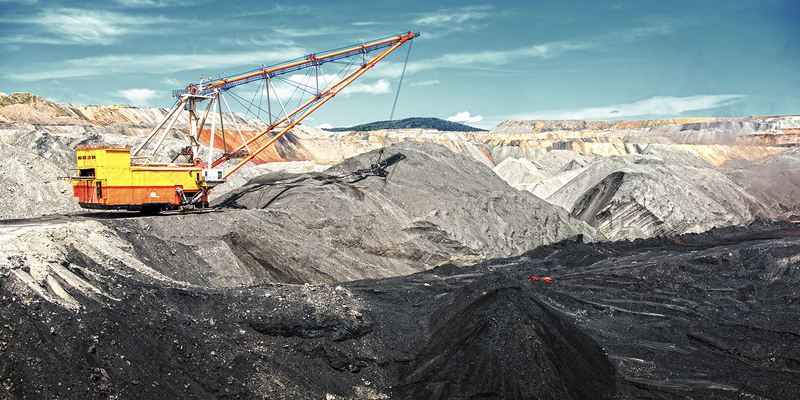 Equipment used in the mining industries is subject to extreme mechanical stresses: it has to operate in challenging climatic environments, yet has to work reliably with an operational lifespan frequently measured in decades. In many cases the easy-to-reach resources have already been extracted, meaning todays equipment is increasingly sophisticated and having to work even harder to reach what is left. Tilman Speer, International Sales Manager for Mining, Oil & Gas at Svendborg Brakes. examines these challenges facing the mining industry, and highlights the importance of efficient, local support and repair services. Maintenance of equipment is a vital consideration in all areas of the mining industry, where high mechanical stresses and the reliance on aging equipment can quickly impact on asset availability. The cost of downtime is significant, and that of unplanned downtime even more so. Any necessary repairs frequently extend far beyond the single component that failed, with an unexpected failure often being the cause of damage to other components with the machinery, so further increasing costs. It is almost inevitable as part of any component failure that productivity will be compromised – indeed, production could slow significantly or stop altogether – until repairs can be made. Such is the challenge of the operating environment that preventative maintenance is essential, with sensors now routinely embedded into equipment to flag up impending mechanical problems. Even so, unexpected breakdowns are still considered an unfortunate fact of life for many mine operators, which is hardly surprising considering the stresses and strains that mining equipment is subject to. All of this highlights the requirement for effective repair and support services, not simply as part of a reactive maintenance regime, but as part of a more proactive approach based around the sensor feedback from the devices embedded within critical equipment. Most importantly, these services need to be delivered quickly and efficiently by companies that have the required expertise, the necessary products and components, and the local presence to be on hand before significant downtime costs are accrued. The brands within Altra Industrial Motion offer many critical drivetrain products utilised within the mining industries, including clutches and brakes, enclosed gearing and geared motors, belted drives, couplings, overload clutches and torque-limiting devices. Mine operators around the world rely on Altra brands and companies including Twiflex, Wichita Clutch, Svendborg Brakes, Industrial Clutch, Formsprag Clutch, Boston Gear, Bibby Turboflex, TB Woods and Guardian Couplings. 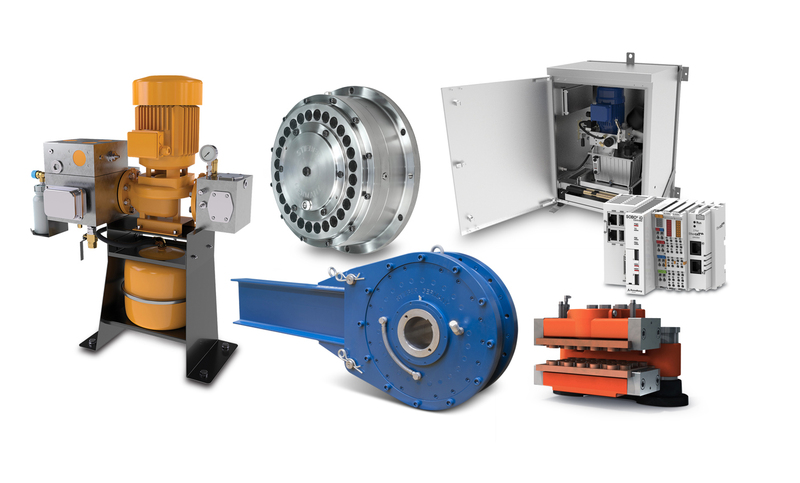 These power transmission products are designed to provide the highest levels of performance in applications including conveyors, crushers, breakers, hoists, blast hole drills, haul trucks, reclaimers, belt filter presses and more. And while OEMs routinely rely on the vast mining experience and application knowledge of Altra’s engineering teams in the design and manufacture of their mining equipment, so the mine operators rely on Altra for repair and support services. For example, during maintenance procedures on caliper brakes, it requires high levels of experience and expertise to correctly set the air gap to provide the required braking torque. Altra Industrial Motion provides service and repair centres that are strategically located close to many of the world’s largest mining regions. This level of global support helps keep mine operations running smoothly and profitably by reducing downtime. For example, Altra has certified rebuild and service facilities in North America, South America, South Africa and central Europe, recognising the importance not only of local presence but also of native language speakers. Services can include commissioning, maintenance, comprehensive overhaul, and even a complete rebuilding of the original component. Altra’s certified repair and support services ensure that equipment is maintained to the highest standards to guarantee long-term asset availability. The company can point to many instances where faulty installation or the use of non-genuine parts has quickly compromised an operation, in some cases causing significant damage to other areas of the powertrain. A good example was the installation of non-genuine replacement friction discs in a large 60 inch Wichita Standard Ventilated Clutch. Upon machine start-up following the installation, it was discovered that the discs were severely unbalanced, which led to a very high level of vibratory load and subsequent premature tooth failure. Although the machine was stopped almost immediately after installation, unfortunately damage had already been inflicted on the main clutch parts, resulting in unnecessary expense and downtime. The sophistication of today’s mining equipment makes it impossible for mine operators to maintain systems themselves, and the training requirements for staff to be able to undertake the more critical aspects of maintenance are too onerous to be cost-effective. Putting maintenance, repair, refurbishment and replacement of power transmission components, along with their commissioning, in the hands of the manufacturers who know those products inside out makes sound business sense. With its repair and support services, delivered locally by engineers who combine intimate knowledge of the products with high levels of mining equipment expertise, Altra is on hand to ensure that operators get the highest levels of availability from their key assets. For more information, visit the leading brands of Altra Industrial Motion Corp. which will be represented at BAUMA 2019 in Hall A4, stand 305. Image 1: Maintenance of equipment is vital in all areas of the mining industry, where high mechanical stresses and the reliance on aging equipment can quickly impact on asset availability. Image 2: Altra Industrial Motion offer many critical drivetrain products utilised within the mining industries. Altra Industrial Motion Corp. is a premier industrial manufacturer of highly engineered power transmission, motion control and engine braking systems and components. Altra's portfolio consists of 27 well-respected brands including Bauer Gear Motor, Boston Gear, Jacobs Vehicle Systems, Kollmorgen, Portescap, Stieber, Stromag, Svendborg Brakes, TB Wood's, Twiflex, Thomson and Warner Electric. Headquartered in Braintree, Massachusetts, Altra has approximately 9,300 employees and over 50 production facilities in 16 countries around the world.